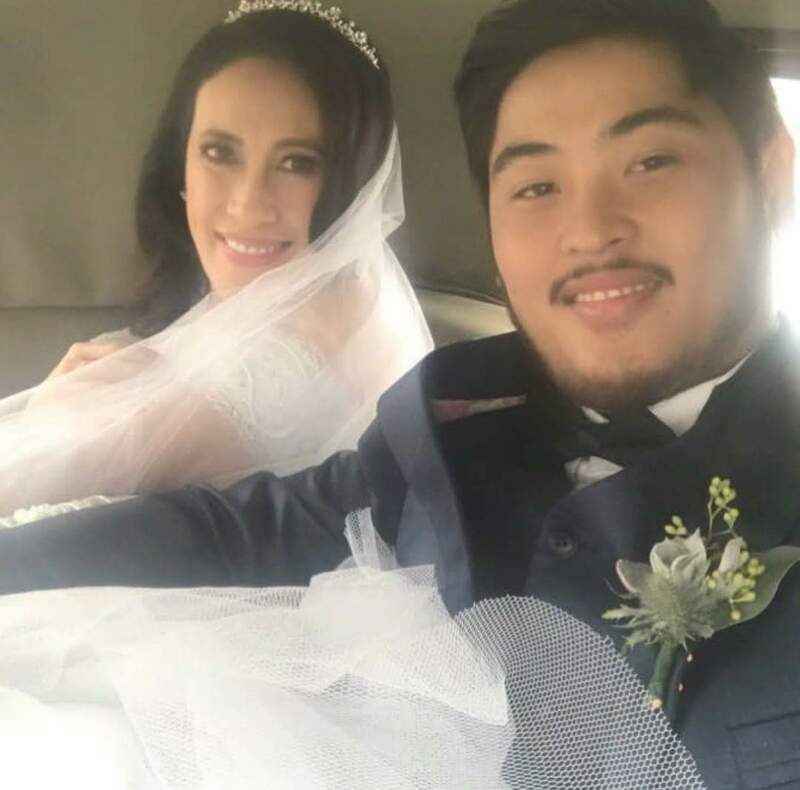 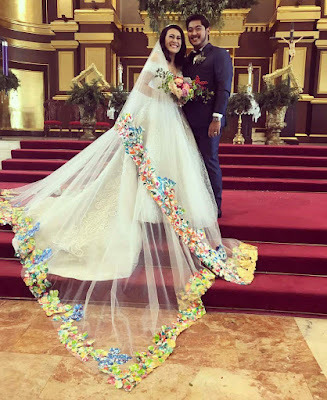 Ai-Ai delas Alas and Gerald Sibayan wedding took place this morning, December 12, 2017, at the Christ The King Parish in Greenmeadows, QC. 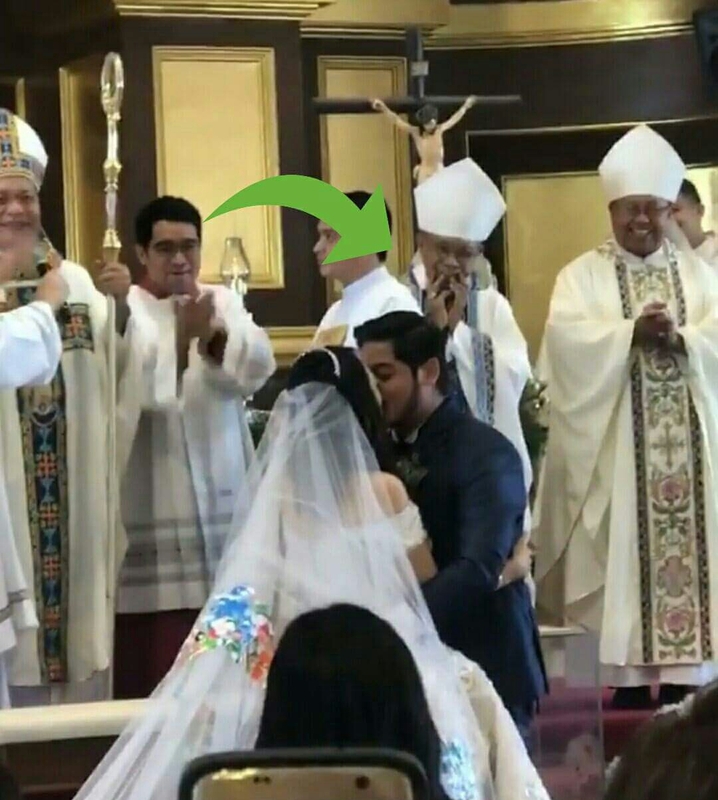 He obviously got so "kilig", didn't he? 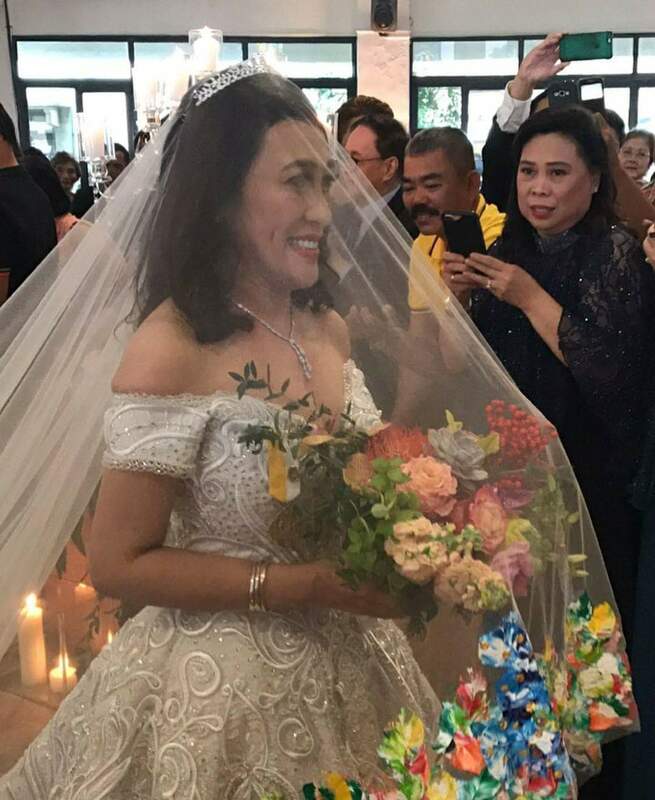 The Comedy Queen just got married to Gerald, who turned 24 just last week and is more than half her age of 53, almost 30 years her junior. 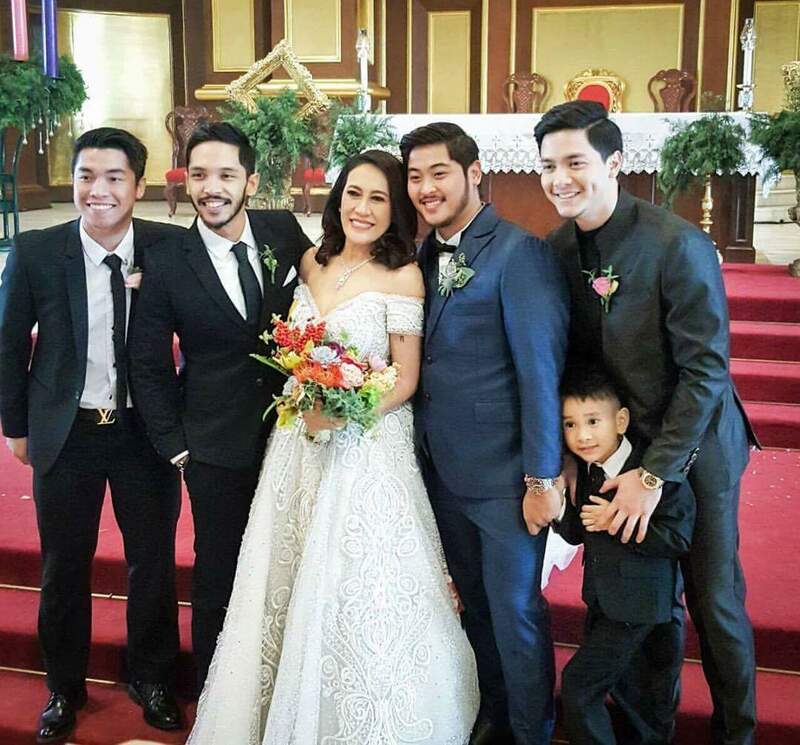 Her groom is even younger than her actor son, Sancho, who's 26 years old. 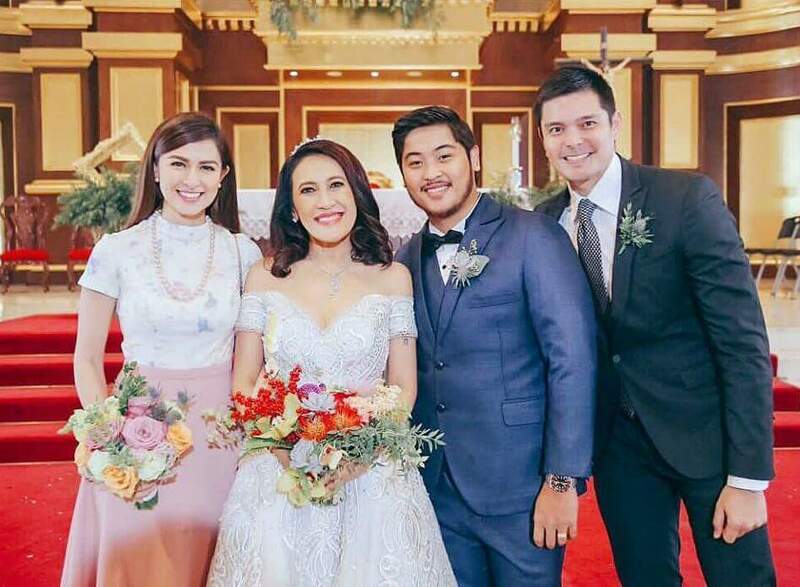 Age doesn't matter, indeed, just like the 2 other celebrity couples with huge age gap and also got married earlier this year: Dra. 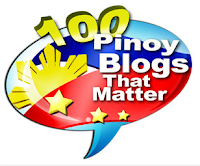 Vicky Belo and Doc Hayden Kho Jr (24 years gap) and Nina Jose and Mayor Cezar Quiambao (39 years). 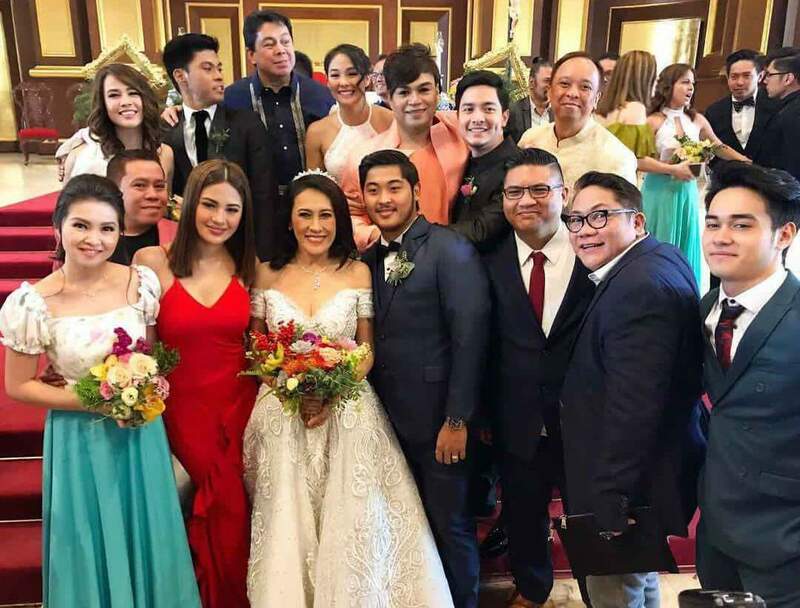 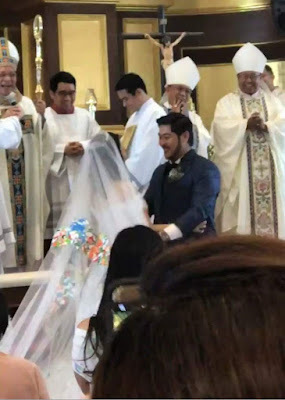 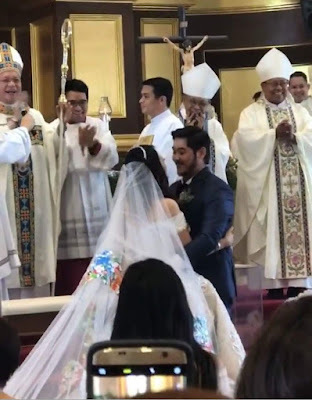 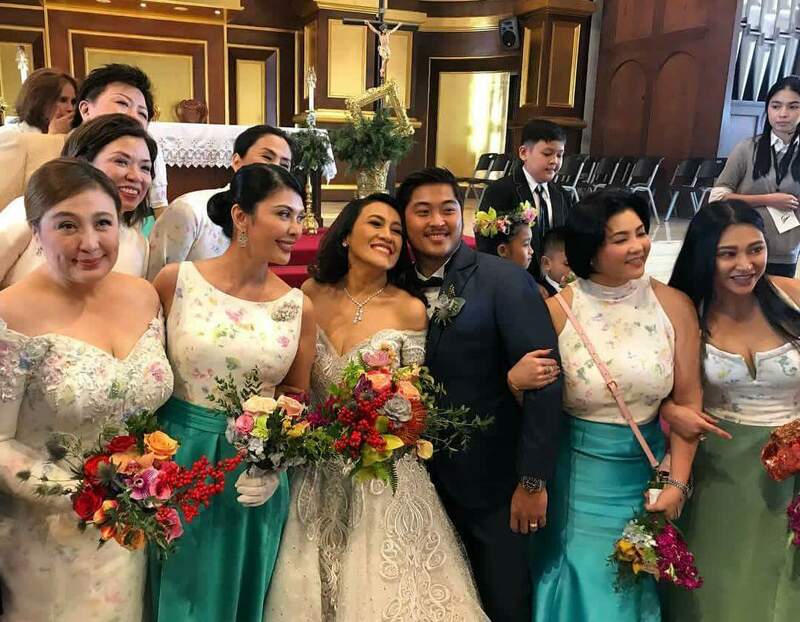 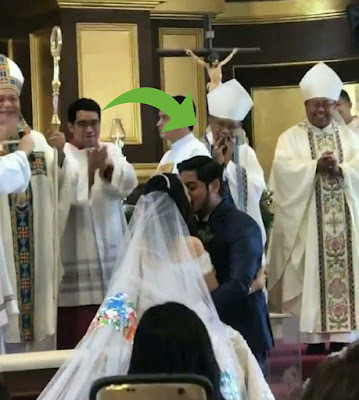 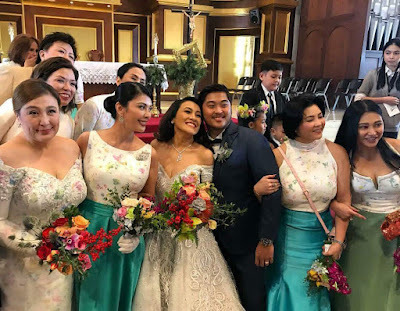 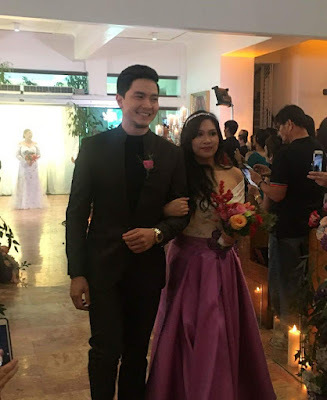 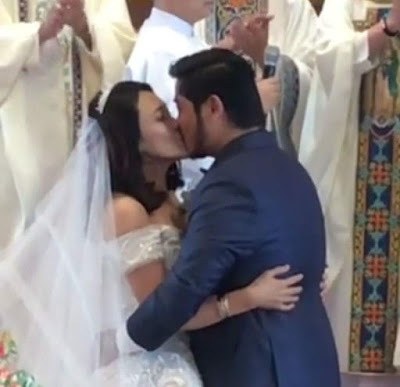 Among those celebs spotted at the Ai-Ai Delas Alas and Gerald Sibayan Wedding were Pambansang Bae Alden Richards, Bossing Vic Sotto, Asia's Songbird Regine Velasquez, Ogie Alcasid, Pops Fernandez, Rufa Mae Quinto, Barbie Forteza, Julie Anne San Jose, Randy Santiago, Marian Rivera, Dingdong Dantes and the Megastar Sharon Cuneta. 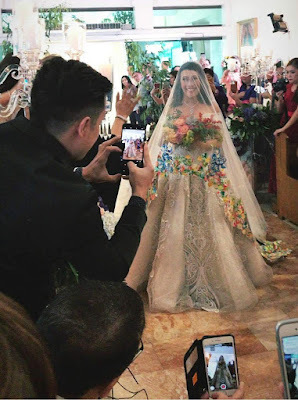 Below are some photos from the wedding, as shared by the guests and the bride herself.